LoHi condos and lofts are marketed by The Kentwood City office . Construction fences dot the neighborhood. Clients often ask me: “What is the most popular area in Denver for new housing?” The good news is Denver has many neighborhoods with what we call “in-fills”. They might be large communities or just a single home. Lately, our redevelopment of the old Stapleton airport has been in the news. 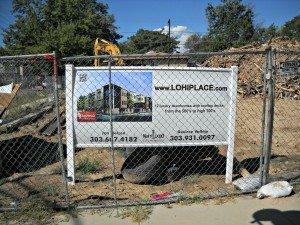 But, quietly, builders are building new homes and lofts in West Highland, LoHi, Sunnyside and Lincoln Park neighborhoods near downtown Denver. That’s what we call the Highlands neighborhoods. The most renowned Denver infill project is the Stapleton Redevelopment Project in East Denver. 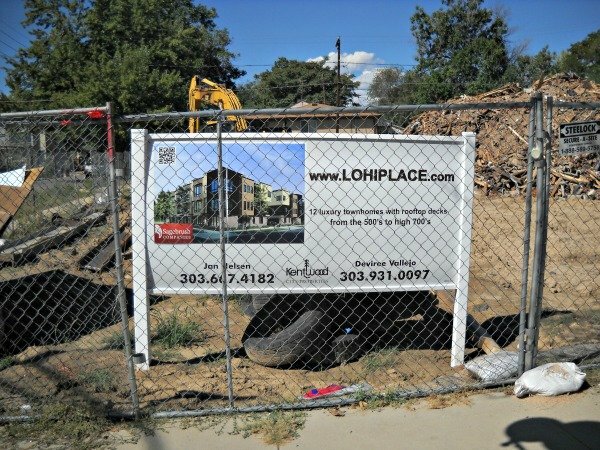 Stapleton was at one time the number one infill development site in the nation. Now it is still in the top five. But there is a lot of activity on the West side of Denver as well. LoHi loft residents will walk to neighborhood restaurants, coffee and shops nearby. Some of the best features that make Denver’s Highlands so popular are the proximity to Downtown, the style of homes, the diversity, and that there is something for everyone. There are homes and condos ranging from the low $200,000’s to over $1,000,000 dollars. Other benefits are that it is a quick trip to the mountains and foothills and that many of the Highlands areas are walking distance to some of the most popular restaurants in Denver. Some of the homes and developments have great views of the mountains and captivating views of Downtown Denver. Highlands is also close to the Rockies Coors Field and close to the Broncos Authority Field at Mile High.